In 1896 Fagen-Miller Funeral Home began with Michael Fagen, as Fagen Funeral Parlor. When he passed away in 1929, the business was then handed over to his son Nichols Fagen; who was also a licensed funeral director, and his wife Eva. The two continued the funeral parlor while beginning an ambulance service as well. Nick established a funeral home in Highland in 1941, and as a memorial to his parents; he designed a natural rock garden casket set in a soothing, peaceful atmosphere where it was deemed Fagen Funeral Garden. It still resides in the Garden Chapel in Highland. Fagen’s first daughter, Maureen, married Bob Miller who joined the business and later purchased the funeral homes in 1970. Four years later, they purchased Royce Funeral Home in Griffith, making it their third funeral home. The Fagen-Miller Ambulance service became a separate corporation in 1981, operated by Bob and Maureen’s children Jerry, Terry, and Gary. 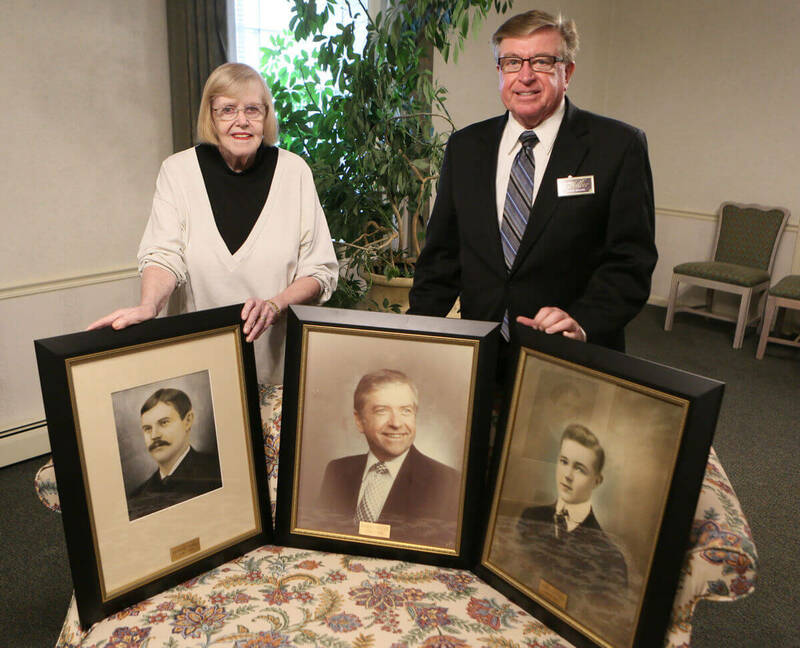 Continuing in the family tradition, Maureen and their son Larry have managed Funeral Homes since the demise of Bob in 1981. Larry Miller proudly opened a funeral home in St. John in the spring of 2002; whom he dedicated to his parents Bob and Maureen. For over 100 years Fagen-Miller Funeral Homes has been providing dignified care of the deceased, in a peaceful and compassionate setting. We believe funerals to be meaningful, extensions of the individuals that have passed on, which celebrates the life they led; and while honoring those memories is most important to those that have been left behind, Fagen-Miller takes pride in coordinating all aspects of funeral arrangements. Meaningful funerals are well thought out rituals that require a lot of time and energy. Allow us to help build a personalized ceremony that will preserve the memory of loved ones, and reflect the uniqueness of a grieving family.